A far cry from dramatic soaps and reality shows, Investigation Discovery rolls out Khooni Saya. 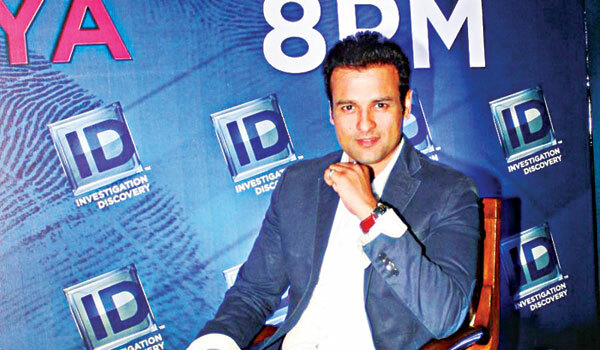 A look into lurking evil, actor and host Rohit Roy says that no supernatural show or ghost film has ever given him the chills like this show. a�?Television has evolved and now the audience wants to be more involved. These stories are all based on reality and are therefore more identifiable than fiction,a�? Roy shares, adding that what drew him to the show was that even though the murders are dreadful, the fact they eventually find the culprit was hopeful. a�?It highlights the perseverance of the people involved in solving the crime. Some episodes show crimes solved over 12 years after they take place,a�? he tells us. Interviews with investigators, prosecutors, family members and neighbours build the narrative and as Roy says, he plays the sutradhar. Explaining that it will affect people at a deeper emotional level, Roy admits that it was his desire to give back to society which pushed him towards this. a�?You have stories like a 13-year-old being raped and murdered. I felt it was a social responsibility to make people aware of the dangers. It is time to wake up and notice.a�? Apart from this series, Roy, who says that his role in Khooni Saaya is an extension of his real self, will also be taking on lighter roles this year. a�?My plate is actually quite full. Ia��m doing a TV comedy called Peterson Hill. And then a play called Unfaithfully Yours a�� where two married people bump into each other at a marriage and fall in love,a�? shares the actor. Also on the cards in Madhur Bhandarkara��s Calendar Girls. But what he is most looking forward to is directing his first film. a�?Ia��ve been there and done that with everything else. So directing is what I am really looking forward to and the production begins later this year,a�? he signs off.